It’s been scorchingly hot in NY these past couple days, so I put my freebies from Country Time and Pylones from the Grand Central Terminal to good use. 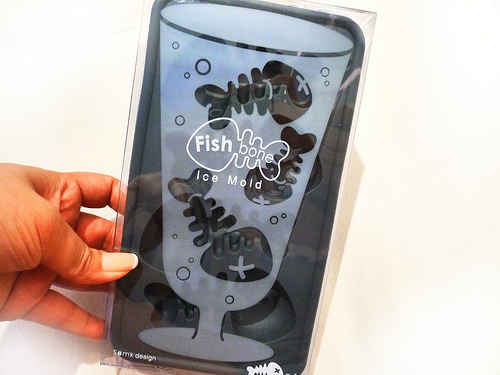 Pylones at Grand Central Terminal had these cute fishy mold ice cube trays for me so…. 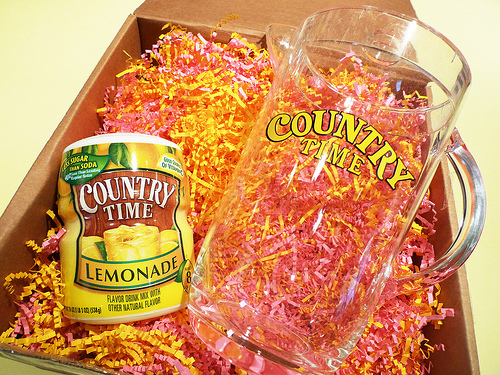 I followed the instructions and made a batch of lemonade. 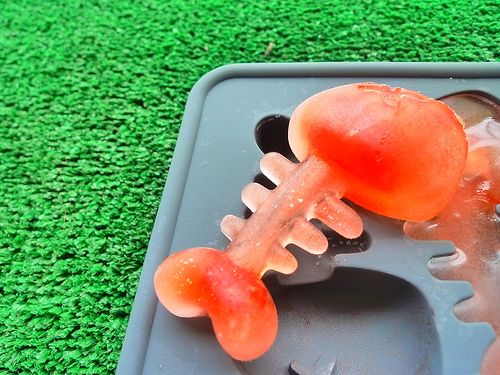 Then I made fresh strawberry and lemonade fishy ice cubes. I thought they looked really cute, and summery. I’ll add some real lemon slices next time. 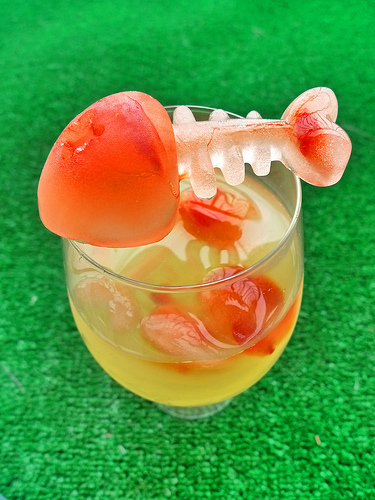 With the rest of the ingredients, I made it a little sweeter and poured it all into my Ikea popsicle molds. Yummm. 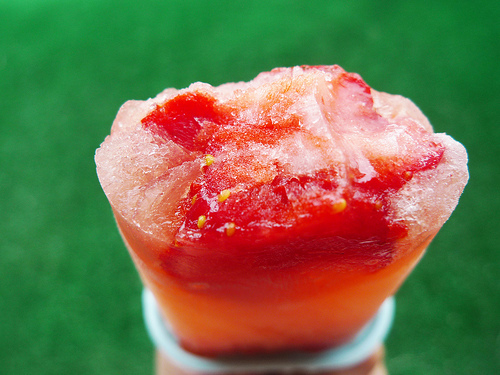 Fresh sweet summer strawberries, and hint of lemon. Didn’t have any mint at home, but that would of been a really nice addition. 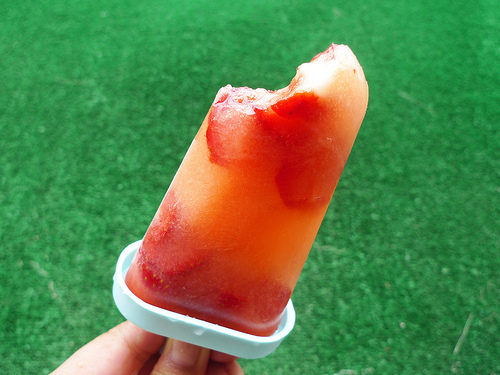 Nothing like an icy fruit pop on a day like today. I walked out for 5 minutes and almost melted. Stay cool my friends, stay cool. Too cute! That fish is cute, although it's a bit weird with all the bones, ha ha ha . . . like it's a de-boned fish. Super cute! This heat is killing me–by the time I get to work, I feel like I need another shower, then of course, it's freezing at work. Sigh. Hopefully the thunderstorms this weekend will cool things off.